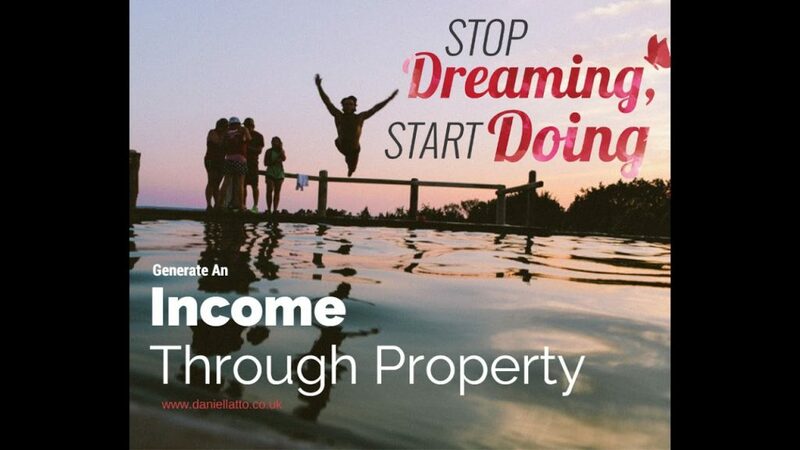 For those people who are ready to start in property but either can’t get a deposit together, or can’t get a mortgage, you can still make a great income on the side by becoming a property sourcer. The beauty of doing this, is that when you can eventually fund the deposit, or you apply for the mortgage then you’ll already be in a great position to buy property Below Market Value (BMV) as you’re become an expert at finding deals. So to help you, i’ve identified the simple 5 steps I help my clients create that will help you on your journey into becoming a Property Sourcer. Obviously, in an article such as this, it’s not possible to go into the ins and outs as to how you put this together in detail. You always need to be on the lookout for potential deals. There are various ways of finding property deals, including dropping leaflets, websites, advertising and so on. The key is in consistency, getting the wording right on the adverts and so on. Is it really Below Market Value, or is it really just at market value. What works need doing on the property? What’s the rental value ? You will need to ‘top and tail’ this deal into a format that is attractive and easily readable to your potential investors. So you need to create some form of .pdf that you can email out to people. In addition to this you will also need to provide a professional looking profile for you, as people buy from people they know, like and trust. Building your reputation is important. It can take 10 years to build and only a few seconds to ruin it. So build it well. You need a database of potential investors that can potentially buy that deal from you. Once you have this, any deal you come up with can be sold much quicker than finding the deal and then struggling to actually sell it. Building up a good list of potential purchasers is vital. If you don’t want to actually do the sourcing work, you can work with other property sourcers and help sell their deals, in return for part of the sourcing fee. This makes you the middle person – you will need 2 databases. The first database will be the people who source deals. The second database is the people who will buy the deal from you. Are you aware of your legal obligations ? 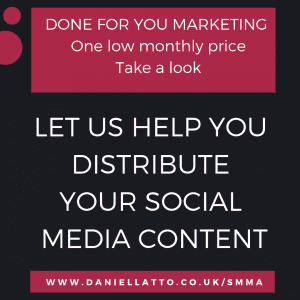 Are you acting as an Estate Agency ? If so, then you will need to abide by the requirements set down for all Estate Agents. Too many Property Sourcers get this wrong and do not comply with the law. It’s an important point. You may notice I added an extra step for you to watch out for ! The legal side is SO important it was worth mentioning. I hope you liked these Simple Steps To Becoming A Property Sourcer. As an overall strategy you can see that this type of income generation can be very lucrative in terms of generating income through Property Sourcing. Many of my clients choose to become Property Sourcers to great effect – you can even read a case study about one of them here – Success Stories, along with finding out about how some of my other clients have performed. Do these 5 steps well, by the end of next week, you can get your first deal – but as ever it always depends on doing the work. Want More Property Sourcing Advice? Why not download my Free Property Coaching & Wealth Creation Podcast from iTunes. To start as a property sourcer, you need to understand that the task ahead is not as easy as everyone makes out. I can hear those words ringing in my ears from peoples webinars or seminars I’ve attended. And it’s just plain wrong I’m sorry to say. The value of your Property Sourcer Coach is really revealed a few months in when you have done all the work, dropped all the leaflets, literally done everything your property sourcing coach has told you to do … only to find that you’re still waiting for any kind of result. This is to test your commitment to changing your life. And it’s meant to be difficult. Improving your wealth through becoming a property sourcer involves mental, emotional, or economic personal improvement through psychological means. Self help allows individuals to personally make themselves better by focusing whatever flaws they may have and eliminating them from their life. Sometimes self help can be difficult. The tips provided in this article should help alleviate that difficulty. To achieve successful results in being a property sourcer, you need to do more than just set goals. You should visualize them, too. How will it feel when you achieve them? What will the experience be like? This visualization process will motivate you by making your goals seem more tangible. It is also a process you can repeat as often as needed to restore your enthusiasm. Try your best to keep a positive attitude everyday. No matter how bleak things can sometime look or be, keeping positive can help you get through the bad times. You can also get so much more done when you have a positive outlook on the task or the outcome of the tasks. If you are struggling with the physical and emotional symptoms of not getting those results you’re looking for, do not hesitate to turn to your support system for affirmation and advice. Try to explain, in detail, how you are feeling. This will help your loved ones to understand what you’re going through. If your daily work schedule and life schedule leave you feeling empty and unfulfilled, think about the things that truly mean something to you and find a way, however small, to participate. Even if you can’t devote your life to being a property sourcer, you can devote a few minutes every day to doing something positive that will move your business forward. If you hear a voice in your head, chances are it is just your subconscious talking to you. Those words you hear are called affirmations or your inner voice. Some of these may be positive, and some may be negative. The goal is to concentrate on the positive ones and work to eliminate ones that are negative. Stress can be a common reaction to when you’re not getting your results. If you want to lower your stress, make sure to take deep breaths and find ways to stay calm. One of the easiest ways to reduce stress is to simply slow down. Pamper yourself when you can. Depriving yourself of the things that you love in this life can make you miserable. Indulge in a few of your favorite things every now and then and your life will remain well rounded. This will improve your mood tenfold and increase your skills for handling any rough patches that come your way. Make an honest effort to become more organised. You’re about to something you’ve never done, which means you need to do things you’ve never done before. When you are organized you have much more of a feeling of being in control, and this will help you gain self confidence. Additionally, your life will be less stressful because you no longer have to deal with disorganization. Having everything organized and in place can really calm you down. Approach the challenges in your life with the attitude of finding a win-win solution to it. If you can take the time to find a resolution to challenges or problems in your life with a positive attitude, you are likely to find that it is quite satisfying when the issue is resolved. When it comes to being a better version of you be sure that you are looking at yourself beyond what you can see on the surface. This is important to realize and look into because only you know what truly lies beneath and only you wan work to develop this into positive characteristics. When it comes to personal growth, be sure that you are careful with all of the large decisions that you make. This is important because bad decisions may eventually turn into repeats of themselves. It is important to assess each situation as though it is new, and insure you are choosing your solutions wisely. Be someone that people want to come to for information and ideas. 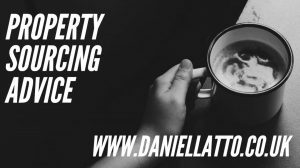 You may not feel like a Property Sourcing Expert, but you are beginning to learn new things that will put you in the top 1% of the UK Population. Think about it – how many other people have the knowledge you’re about to learn ? You will need someone who can help you through the tough times and it is important that you can have someone you can trust to turn to when you need that little bit of an extra push. This same person should also be there to celebrate with you when you have attained your goal.